Well, since Ice is officially out, we can look towards summer. 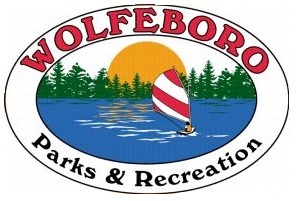 Here is a link to the Summer fall brochure, as well as the latest from Eathen Hipple and the Wolfeboro Parks and Recreation Department. As our fields dry out and the daffodils push their way through the soggy soil, we're looking forward to some great spring and summer programs and events. Coming up on Saturday, May 21 is the 37th Annual Great Smith River Canoe Race. An annual favorite, this canoe and kayak race starts at Albee Beach and heads out through Lake Wentworth, Crescent Lake, the Smith River, Back Bay and eventually into Lake Winnipesaukee. For more information, contact race organizer Roger Murray at 569-5454 or download a registration form from the Parks and Recreation website. Our friends at The Nick are sponsoring the first annual Chunky Dunk Sprint Duathlon on Saturday, July 30th, 2011. Starting and ending at beautiful Albee Beach, the race will involve a 1/2 mile swim and a 5K run along the Cotton Valley Trail/Bridge Falls Path. A BBQ and awards ceremony will take place at The Nick afterwards. You can register online or download a registration form from the Parks and Rec website. Registration for Spring and Summer Parks and Recreation programs is going strong and we highly encourage folks to sign up soon to get a spot in programs that are filling fast. 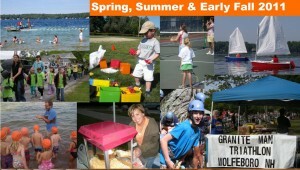 Day Camp, Sailing, Tennis and Swim Lessons in particular will all likely fill to capacity. In some cases, programs filled the day that registration opened, and others have growing waiting lists. Online: quick, easy, 24 hour access. This is the fastest and most convenient way to guarantee a spot in a class or program. There is a small fee charged by our software provider for this service. Click here to register for programs, races, events and more. Paper Registration: You can pick up brochures and registration forms at the Tuftonboro and Wolfeboro Libraries and Town Halls, the Chamber of Commerce, and at many schools and businesses in the area. You can also download all paper registration materials from our website. We still have openings in our popular Hershey Track Program that starts on May 10. Participants challenge their potential while they explore track and field sports such as running, jumping and throwing. There are 2 local meets, as well as State Finals--and last year we had 2 local kids go on to compete at the North American Finals in Hershey, PA. Finalists enjoy and all expense paid trip to PA, courtesy of Hershey! Register now to get involved in this great program! This spring and summer are shaping up to be quite busy with lots of projects to improve our parks and facilities. We just selected a firm to reconstruct our Foss Field Tennis and Basketball Courts, which will be complete by June 17th. We are in the midst of cleaning up Foss Field by demolishing the deteriorated Foss Hut, and installing new fencing and benches. We'll have new flooring in the Community Center, turf improvements at Cate Park and a new irrigation system in the Foss Soccer Fields. We are working with our engineers to complete the specifications for our Fire Protection System at Pop Whalen, and are moving forward with Friends of Abenaki towards groundbreaking for our new Snowmaking System at Abenaki Ski Area. And lastly, we're in the planning phases for constructing a new Town Cemetery on Middleton Road, are improving parking lots at Clark Park and Pop Whalen Arena and have some new docks to install at Brewster Beach. Folks who are interested in keeping up with our current Capital Improvement projects can always check our Projects page of the Parks and Recreation website.